Nerves represent the single greatest source of pain and dysfunction in the body, while at the same time being the system of perception of these dysfunctions. The responses of nerves to tension, compression, painful stimulus, injury, and surgery can be very complex and difficult to access and treat. Dr. Hanson evaluates the central, sympathetic, nerve root, peripheral nerve, and local superficial nerves to find the right treatment plan for each patient. Interventions exist and need to be used appropriately as part of the treatment regimen for any painful or degenerative structure. This care is often more important than treating the degenerative structure, as the structure will rarely heal well without nerve treatment. This is the most challenging set of structures to treat in the neuromuscular system. Dr. Hanson trained early on in a technique called nerve hydrodissection. He has used this technique to treat thousands of dysfunctional nerves. 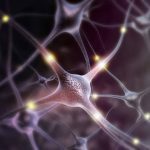 Adding regenerative agents help to heal and normalize nerve function, particularly when part of the problem in the nerve occurs in the supportive cell network (known as glial cells). The most common regenerative agents used in the treatment of nerves are Platelet Growth Factor Concentrate and Adipose Cellular Concentrate. On average, a patient seeking treatment for nerve pain will receive 1-3 injections over a three to six month period. This will provide relief for one or more years depending on the severity of the injury at the beginning of treatment and the type of regenerative agent used.